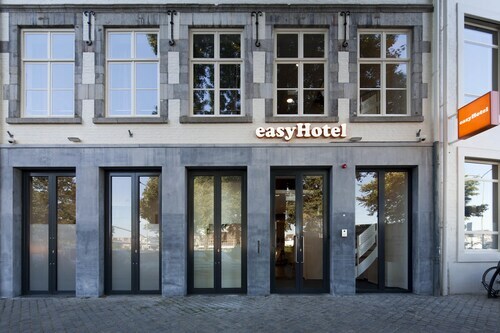 Located in Maastricht-Centre Urban District, this hotel is within a 10-minute walk of Market and Vrijthof. Maastricht University is 0.6 mi (1 km) away. Maastricht Station is 18 minutes by foot. 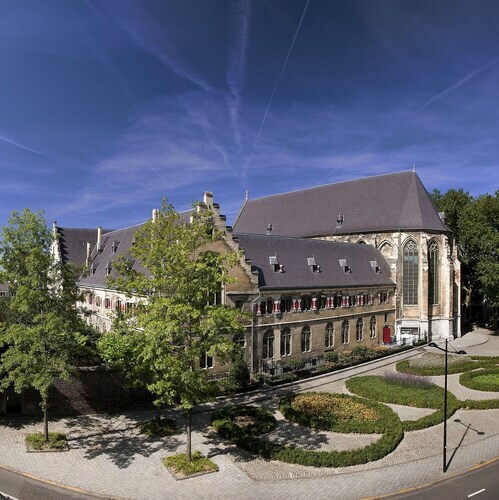 Located in Maastricht-Centre Urban District, this hotel is within a 10-minute walk of Market, Stadhuis, and Dominicanenkerk. Vrijthof and St. Servaas Church are also within 15 minutes. Maastricht Station is 20 minutes by foot. Next to Vrijthof, exelent breakfast, very kind staff. Bathroom is to small. Water from the shower wets the floor with door of cabin closed. For asthma patients it's not a hotel to go too. Old hotel, but charming. 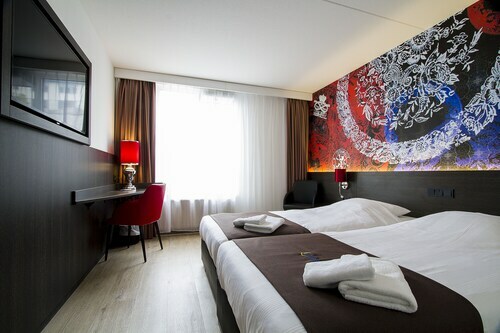 Located in Maastricht-Centre Urban District, this hotel is within a 10-minute walk of Basilica of Our Lady, Vrijthof, and Market. Maastricht University is 0.5 mi (0.8 km) away. Maastricht Station is 11 minutes by foot and Maastricht Randwyck Station is 29 minutes. 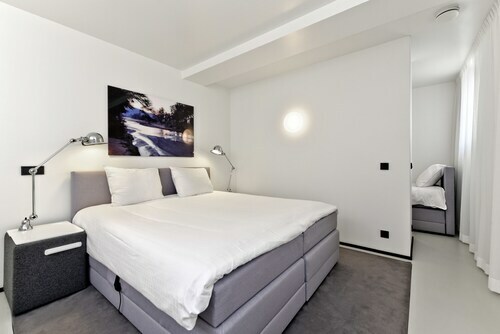 Located in Maastricht-Centre Urban District, this eco-friendly hotel is within a 15-minute walk of Market, Vrijthof, and Maastricht University. Stadhuis and Dominicanenkerk are also within 10 minutes. Maastricht Station is 19 minutes by foot. 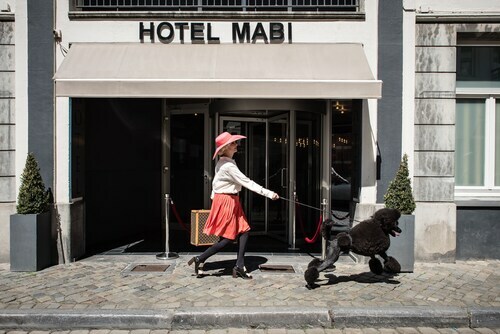 Located in Maastricht-Centre Urban District, this hotel is within a 10-minute walk of Market and Vrijthof. Maastricht University is 0.6 mi (0.9 km) away. Maastricht Station is 15 minutes by foot. 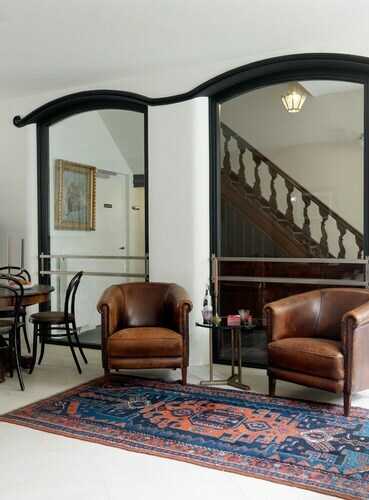 Located in Maastricht-Centre Urban District, this guesthouse is steps from Dominicanenkerk and Vrijthof. Market and Maastricht University are also within 10 minutes. Maastricht Station is 18 minutes by foot. 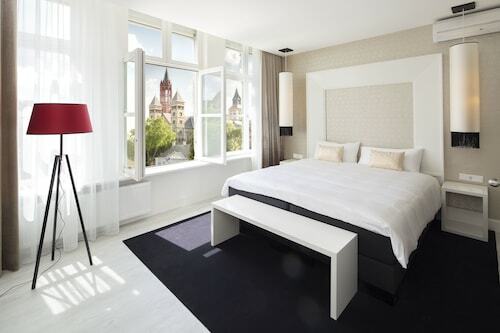 Located in Maastricht-Centre Urban District, this hotel is steps from Dominicanenkerk and Vrijthof. Market and Maastricht University are also within 10 minutes. Maastricht Station is 15 minutes by foot. Organizing a trip to Kazematten? To visit it, along with a fantastic array of other sights, make your way to the well-loved city of Maastricht. Sometimes it's nice to have few decisions to make, but when you're looking for a hotel you want a diversity of options. You'll be happy to know that there are up to 36 accommodations in the surrounding area. 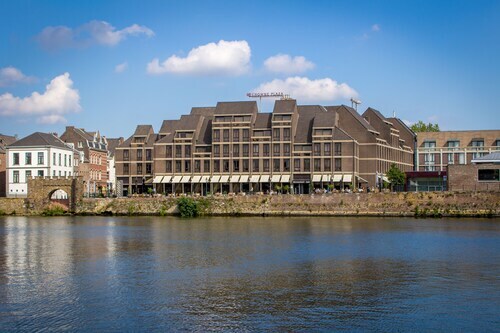 Some choices to check out are the Kruisherenhotel Maastricht, 0.3 miles (0.5 kilometers) away, the Derlon Hotel Maastricht, 0.7 miles (1.1 kilometer) away, and finally the Haas op het Vrijthof, 0.5 miles (0.8 kilometers) away. 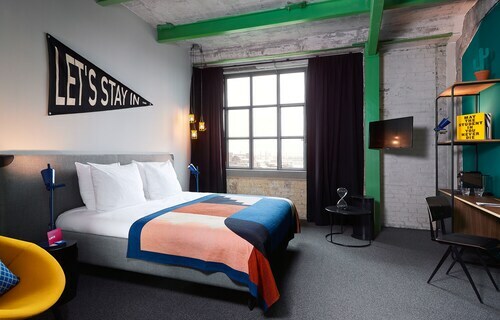 The standard of low-cost hotels has risen significantly over the years. If you choose to stay at one nearby, you'll be pleasantly surprised. Some examples are the Hotel La Colombe and the Hotel de la Bourse, which are 0.5 miles (0.8 kilometers) and 0.5 miles (0.8 kilometers) away, respectively. At the end of a lively day of adventure, take a break at one of the premium hotels just a few minutes way. 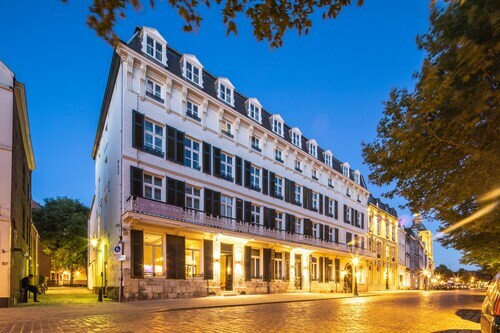 Consistently endorsed are the Hotel de Pauwenhof and the Bastion Hotel Maastricht Centrum, situated a mere 0.5 miles (0.8 kilometers) and 0.5 miles (0.8 kilometers) away, respectively. Cafe ambience and culture varies so much around the world. Order a coffee and some snacks from Café Da Capo, just a quick walk from Kazematten, and enjoy the small differences! If you've really worked up an appetite, Privé Diner is also not far away, and is among the best places to enjoy a main meal. Of course, there is no better way to round out a long day of adventures than with a drink or two. De Kazemat Feestlocatie & Bar, also a brief walk away, is where you'll want to be. Get closer to nature at Het Frontenpark. Pack a lunch, and spend the afternoon breathing in the natural landscape. Admire the important bridge that is Sint Servaasbasiliek, or simply kick back as you watch the flowing water. During your adventures, you ought to stop and see St. Servaas Church, a local place of worship. If you want to spend a bit of time inside, be sure to make inquiries for visiting times first. See a performance at Vrijthof and enjoy seeing the plot thicken! St. Janskerk is a pleasant place of prayer. Look at it from afar or see if there is an opportunity to have a tour inside. Making your way to Kazematten by rail has never been so simple. 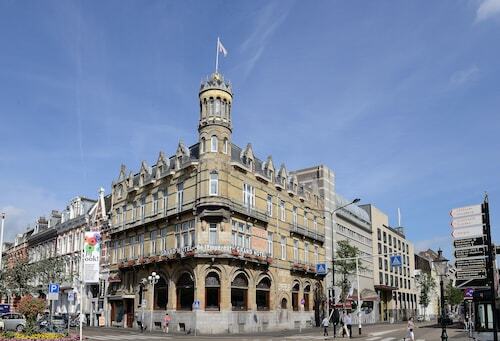 The most convenient station, Maastricht, is just 1 mile (2 kilometers) away. How Much is a Hotel Room in Kazematten? Hotels in Kazematten start at $49 per night. Prices and availability subject to change. Additional terms may apply.